Digital experiences are transforming the way that we live and work. Where we used to drive to a store, stand in line at a bank, wait on hold for a customer service representative, or search for a taxi in the rain, we now solve our problems with the tap of a screen. And just as we expect technology to make things easy and efficient in our personal lives, we expect the same at work. Every company in the world is being forced to modernize the way they work so that they can deliver better results and equip their employees with the tools they need to succeed. This transformation is turning banks, clothing companies, and every business in between into, well… technology companies. To help meet this challenge, a core set of defining platforms has emerged to enable modern teams to work more effectively together and to deliver amazing customer experiences. InVision and Atlassian form the backbone of the design and development process at tens of thousands of organizations like Airbnb, CitiGroup, eBay, Qantas, Spotify, Twitter, and Visa. 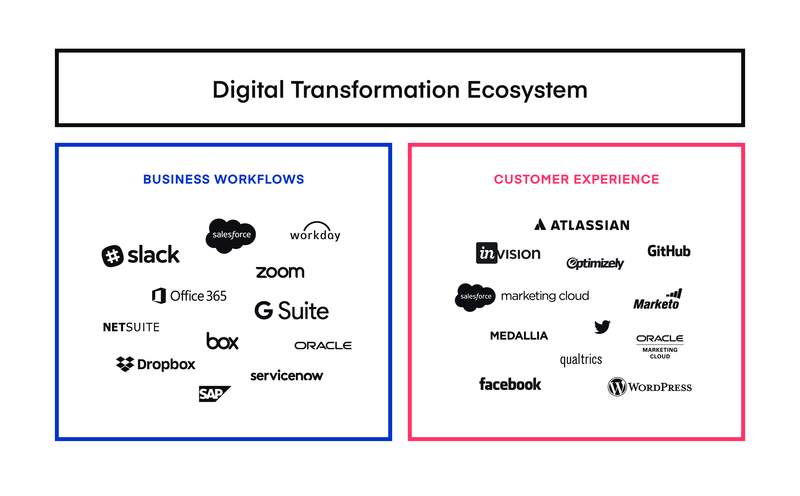 InVision enables their design teams to create world-class digital experiences, while Atlassian helps their development teams build and ship products faster. Thanks to this common purpose and the millions of users that we jointly serve, InVision and Atlassian have been partners and friends for a long time. Today, we’re proud to share that we’re forming a new and even more meaningful partnership that will help accelerate digital innovation for organizations around the world. Our mission? To create one seamless workflow for designing and developing digital experiences. First, we’ll deepen our existing integrations between InVision and Jira, Confluence, and Trello, as we bring Atlassian functionality directly into our product suite, including our upcoming release of InVision Studio. Second, we’ll jointly explore strategic initiatives that tie the work of designers and developers more closely together. As part of this new commitment between our organizations, Atlassian has made a strategic financial investment in InVision. We’re looking forward to sharing more details about this exciting new partnership in the coming months. In the meantime, be sure to check out our existing integrations with Jira, Confluence, and Trello. And if you’re at the upcoming Atlassian Summit in Barcelona, stop by kiosk i5 to say hello.